Most people hate finding pesky little (and sometimes not so little) cockroaches in their houses. Now imagine what it would be like if you found out a critter had made your ear its home? Got the heebie-jeebies just imagining this, right? Well, for one woman in Florida, it was reality. In an essay published in SELF Magazine, Katie Holley recollects her nightmare that wouldn't end for nine days after she first found the bug in her ear. Her story is going viral. She used a cotton swab in her ear only to realise something was moving inside. "When I pulled the cotton swab out, there were two dark brown, skinny pieces stuck to the tip. Moments later, I came to the realization that they were legs. LEGS. Legs that could only belong to an adventurous palmetto bug exploring my ear canal," she writes in SELF Magazine. She rushed to the ER and details in her essay how a doctor administered Lidocaine, a topical numbing agent, to remove the bug from her ear. "Once three pieces of roach were removed, the doctor showed them to us on a little napkin. They were small. When intact and in all of its roach glory, I would guess that it was about the size of my pinky nail down to my first knuckle. So it wasn't super huge-but it was still a roach. In my ear," she writes in SELF Magazine. Sadly for Ms Holley, her nightmare didn't quite end there. Still feeling uneasy days later, she decided to see her family physician. Another examination later she was told she still had bits of the cockroach inside her ear - nine days after her visit to the ER. Next, Ms Holley had to make an appointment with an ENT to get the remains of the roach out of her ear. "Using a tool that looked like very large scissors, he extracted THE ENTIRE HEAD, UPPER TORSO, MORE LIMBS, AND ANTENNAE. I just sobbed," she writes in SELF Magazine. 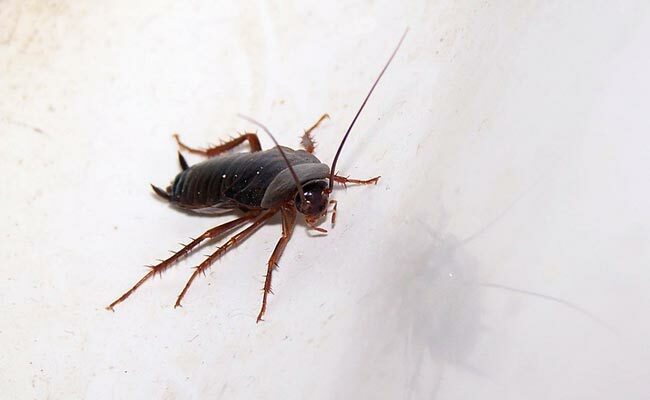 Even though Ms Holley is cockroach-free now, her story leaves one feeling uneasy. You can read her entire story here. Last year, a doctor pulled out a live cockroach from a 42-year-old woman's skull in Chennai.